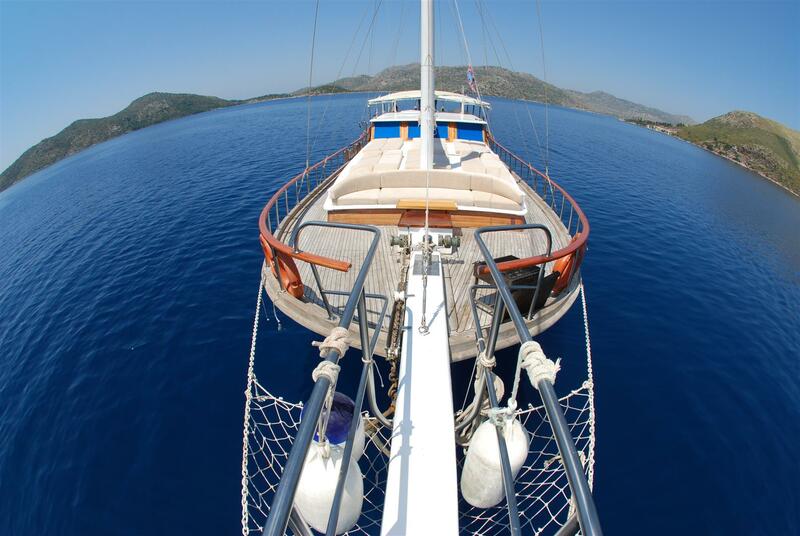 Bodrum, Palamutbuku, Inceburun, Aktur, Bencik, Orhaniye, Selimiye, Bozburun, Datca, Knidos, Poyraz Harbor, light tours blue cruise is waiting for you ..
After 15.30, our guests will be taken to the blue cruise boat waiting at the port. In the meantime, our early arrivals are welcomed by our competent personnel who are ready to go in the basement or our partner operations are hosted by our agencies. 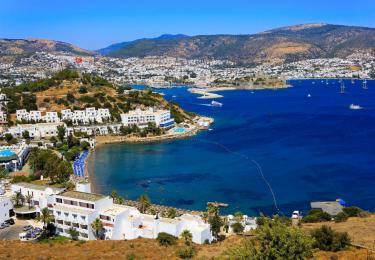 All of our guests enjoy Bodrum as they wish. In the evening, our boat is placed and after meeting our staff and the necessary formalities are completed. 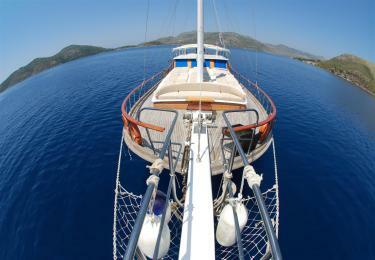 Dinner and accommodation are made in Bodrum Harbor and all our guests spend the night on our boat. (1 night). Iron is taken from the port early in the morning. 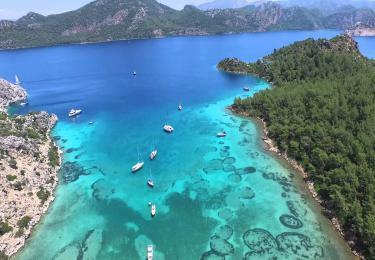 What we will do is lunch and a swimming break in Palamutbükü. Our guests here begin to enjoy the sun and the sea. Then we will take iron to go to İnce Burun where we will make dinner and overnight. Dinner and overnight stay at Slim Burun. (2.Ge CA). After breakfast, take the correct iron to Aktur and start the tour. After lunch and a swimming break here, take the road to anchor at Bencik Bay. 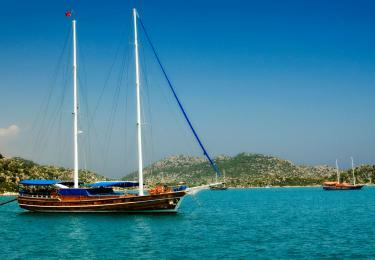 Bencik bay opens its arms to you like a hidden paradise on the narrowest point of Datça peninsula. You will find plenty of rest in this unique bay where we will make dinner and overnight. (3.Ge CA). After breakfast we will anchor for lunch, before reaching Orhaniye, we will have the chance to swim in Emel Bay for a swimming break. Then lunch Orhaniye güzel And Orhaniye also a nice lunch. 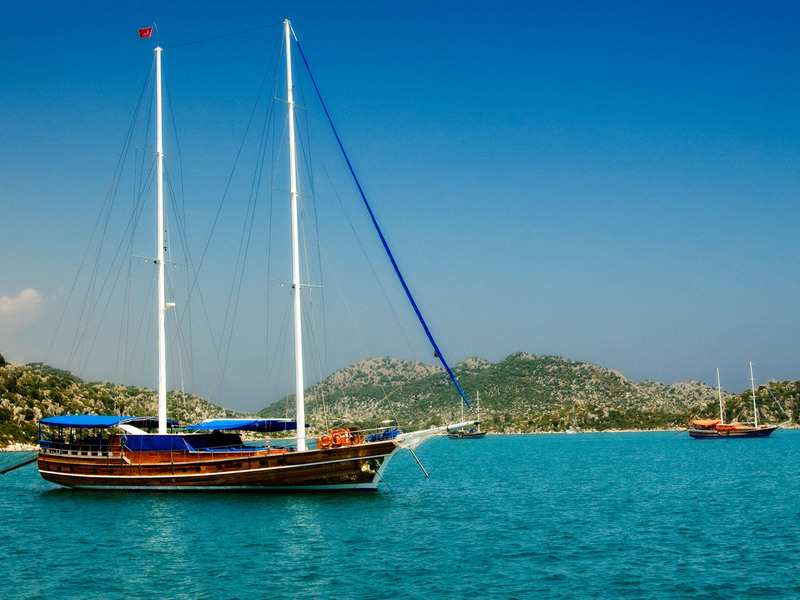 In Orhaniye, we will also witness an interesting walk in the sea in a place called Kız Kumu. Then we will go to Selimiye Bay for dinner and accommodation. Dinner and overnight in Selimiye Bay. (4.Ge CA). After breakfast we move to Dirsek Buku Bay. 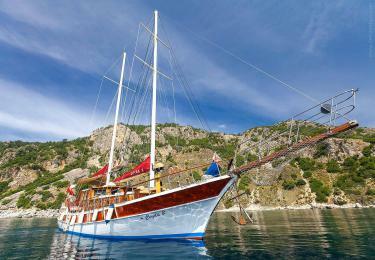 After the swimming break, we are moving to Bozburun, which is now famous for its manufacturing of gulet boats. Dinner and overnight stay in Bozburun. (Night 5). 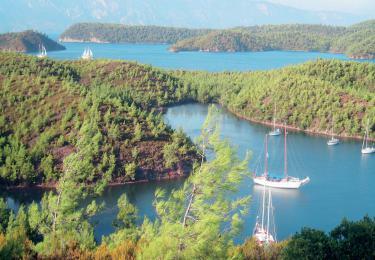 After breakfast, we start to move to Datça Harbor. Then our boat in Datça Port. 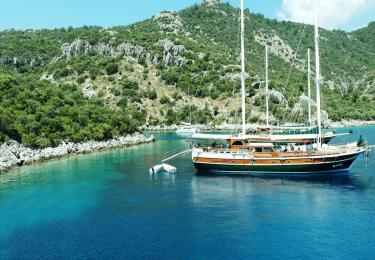 Datça Port will also have time to make short trips for our guests who wish to meet their needs. 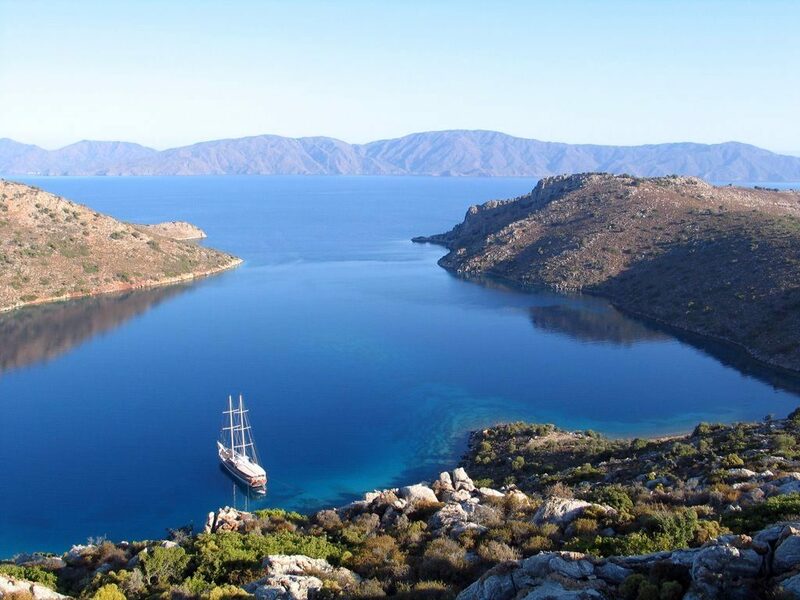 Datça has been kept and loved since ancient times with its abundant oxygen and healing air. 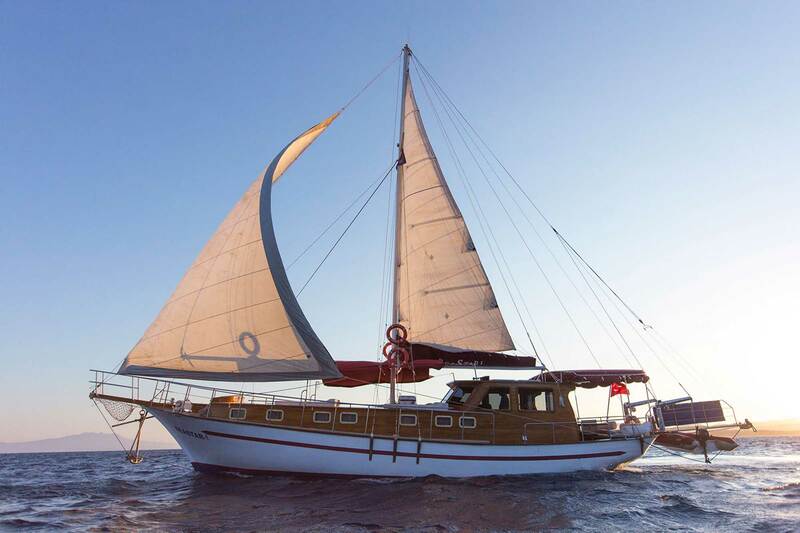 After our break in Datça Port, you get the right iron to Kinidos and dinner will be overnight at Kinidos. In ancient times, Kinidos was a very advanced city in architecture and art, and throughout the ages it has been home to many scientists and artists. Dinner and overnight stay in Kinidos. (6.Ge CA). Early in the morning, we will take a break for breakfast and take a trip to the Black Island to reach the port of Poyraz. After that, lunch and swimming break is given in Meteor Bay in Kara Island. Our guests will also have the opportunity to visit the underwater caves with a short walk and pay. 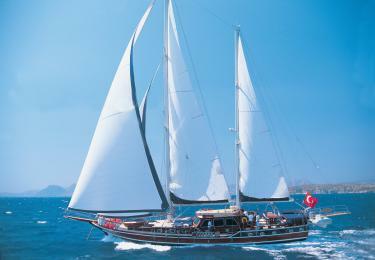 Later on, we will cruise to Bodrum Harbor for dinner and overnight stay. 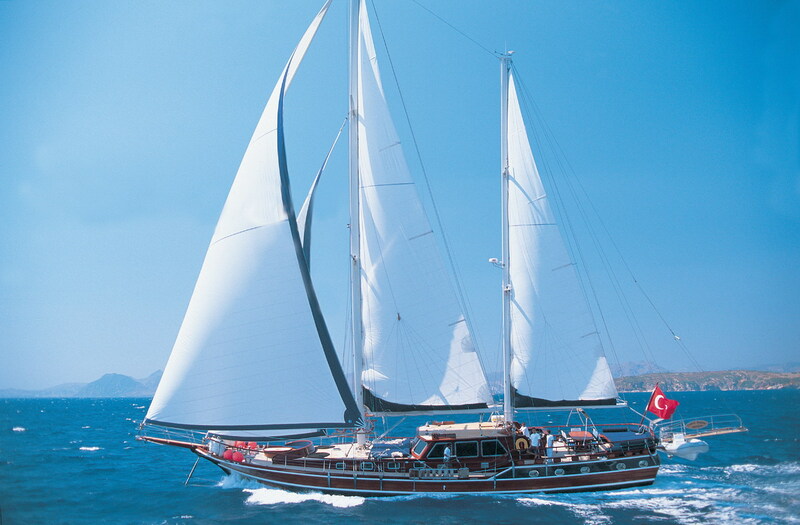 Dinner and overnight in Bodrum Harbor. (7.Ge CA). After breakfast, a blue voyage has ended and our guests have completed the blue tours leaving sweet memories. Departure from the boat 10.30. (Tour end.). 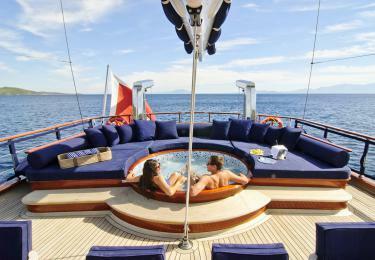 The prices applied to the cabin tours are the single person prices in the double cabin and are in EURO. Guests who want to stay one person in the cabin must pay 70% price difference. There is no child discount on this tour and children under 12 years old are not allowed. 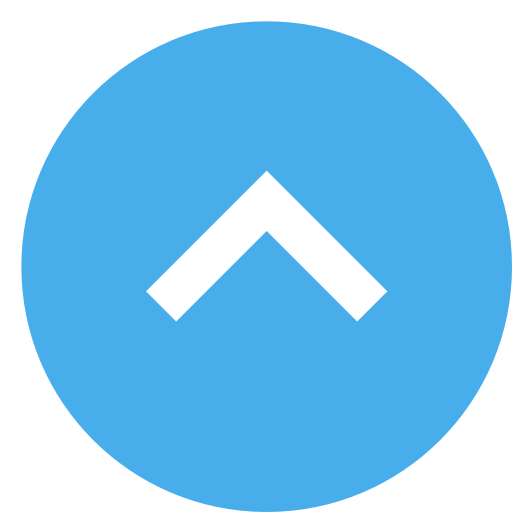 The air conditioning is run on average 8 hours a day in the morning and evening hours. In this cabin rental program, food menus offer richer varieties and flavors than economic cabin rentals.